With over thirty years of local and national architectural experience, we provide skillful design and management of residential projects both renovation and new construction. We specialize in personal attention to our clients and are committed to creating buildings that are functional, comfortable, inspiring and affordable. Quality is never an accident, it is always the result of high intentions, sincere effort, intelligent direction and skillful execution. It represents the wise choice of many alternatives. We take seriously the initiative for a more sustainable environment. Our designs utilize the most up-to-date ideas on conservation and environmental responsibility. As we work with our clients to help them realize their dreams and desires for their homes, we stay committed to high standards of functionality, efficiency, beauty, and affordability that enhance their lives, our local community and our world. Our office is a small office in which the staff works closely with our clientele, guaranteeing personal satisfaction from the earliest stages of concept and design through the often arduous Design Review and Permitting process and on to the realization of the project. We measure our success by our clients' satisfaction. Bob McGraw, our senior architect, hails from New York (both city and Woodstock) via Aspen, CO, and has been practicing architecture in Laguna Beach for over 26 years. He guides his clients through the often complex permitting process with skill and knowledge. Bob's experienced and accomplished residential work adds to the quality of many lives in Laguna Beach and the surrounding area. His commercial projects include Mother's Markets, Whole Foods, Laguna Drugs, Mozambique to name a few. "By fusing logic with imagination, truth with discovery, we bring transcendent environments to real-world situations." Horst Architects produces contemporary designs that bridge technology with cultural and environmental awareness. The spaces adhere to the principal of modernism, stripping away the extraneous and being somewhat reductive. The modern designs have a true interplay of light, material and form. SMART, BEAUTIFUL DESIGN - FOR REAL LIFE. How do you want to live? Our spaces affect our lives every minute of every day, often in ways that are subtle, and the cumulative effects are powerful. With more than 20 years' experience in residential design, we know we never step into the same river twice. As an architect, designer, educator, and native Californian, Kate spends pretty much every waking moment devising ways to make life better: brighter, more efficient, easier, happier. Providing thoughtful, integrated design and architecture services to projects of diverse sizes and types, HERE Design and Architecture is based in West L.A. Licensed Architect, Certified Interior Designer. 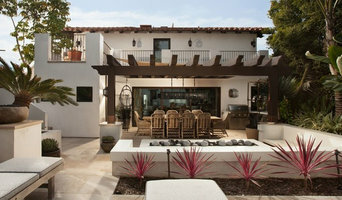 Premiere custom residential construction in the South Bay. Arc D.L.A. Inc. is a Full Service ARCHITECTURE, INTERIORS and DESIGN-BUILD firm based in Hollywood, Los Angeles, Specialized in Residential, Commercial and Green Buildings. Tel: 424-354-9494 - We offer Quality Professional Services & Quick Turn-Around - Innovative Design Solutions for Every Budget and Needs. - Any Size Project Welcome. Benson Design & Development Co. has been providing residential design for almost 2 decades from remodeling to new construction. We are a small Boutique Firm where we give you the SAME QUALITY AS THE TOP FIRMS FOR MUCH LESS. Derrek Benson, Owner, has an extensive construction background which shows in his plans and details. Our team work’s in the latest version of Auto-Cad providing very high standard of drawing. plans, sections and details custom to the project. plans are drawn at exact framing scale along with all our details and sections to ensure the highest accuracy when building. Higher end Contractors & Interior Designers appreciate our plans because we explain in detail all important design issues. We coordinate the drawings with the Structural Engineer, Mechanical engineer and all outside consultants so everything is designed to work during construction. The Majority of construction issues will be addressed during the drawing phase through the sections and section details. We are very experienced making sure that your project meets Home Owner Association guide lines, local residential building codes and requirements specific to your project. Cynthia Boyd Design endeavors to establish peace and serenity by creating artfully designed architecture, interiors, and landscapes that combine the creative use of natural materials and light to define live and work spaces that are conducive to happiness and creativity. She is deeply committed to guiding her clients toward living a beautifully designed life. Home Design Architects is an award winning Orange County architectural firm that specializes in creative residential remodels and new custom home design. We also do land planning, small commercial projects and commercial tenant improvements. We have over 30 years of experience in Architecture and Interior Design on small projects with modest budgets to large custom homes. With our broad background in land planning, commercial architecture, industrial design, furniture design and interior design, we are confident that we can find the right design solution that meets your goals and your budget. We utilize Archicad, a state-of-the-art CAD program that allows us to build a complete 3D model of your home. We can do real time walk-throughs so you can experience your home before construction is ever begun. We have done residential work in Northern California, Southern California and Hawaii. We are here to help you realize the unique and special vision of your home. From a kitchen remodel to a brand new house, we will work with you to meet your design needs and stay within your budget. 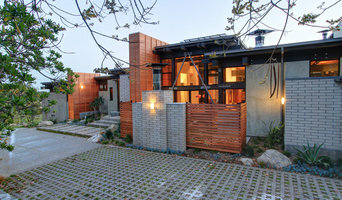 Many architects specialize in a particular style of architecture such as Modern or Traditional. We are skilled at and enjoy working in all styles of architecture, from Cape Cod to Mediterranean to Japanese-Ranch (the owner's special vision) to very Modern. We are proud of our work, but we are most proud of the personal service we provide our clients. We don't design for ourselves, we design for you.